Media Molecule has made a LittleBigPlanet level in Dreams to celebrate the PlayStation series’ 10th birthday – and it looks lovely. In a Twitch stream, developers from the Guildford studio play a Dreams version of The Garden from LittleBigPlanet, complete with four-player co-op and Sackboy characters. The result is remarkably similar to LittleBigPlanet, right down to the floaty jumping and the inclusion of Popit. Everything was “100 per cent” made in Dreams, the developers said. You can see a condensed single-player runthrough of the level in the video below. Dreams is an upcoming PlayStation 4 exclusive that revolves around user creation. It’s billed as a platform from which you can build pretty much any kind of virtual experience. 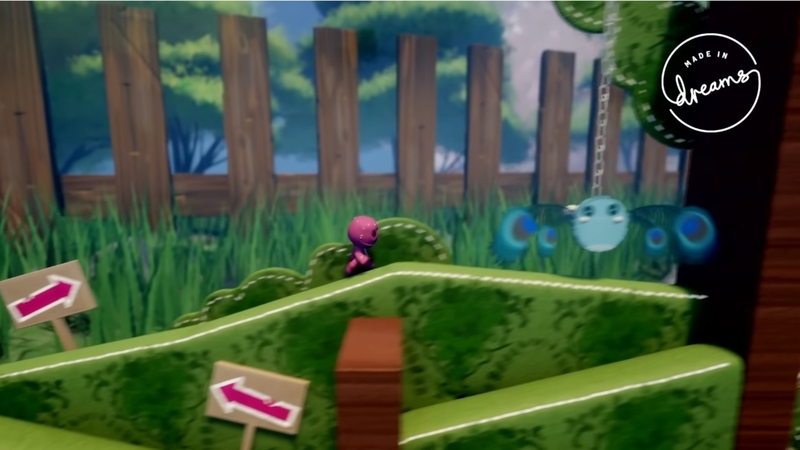 Later in the stream, Media Molecule digs into the recreated LittleBigPlanet level, showing the working out. It’s a pretty impressive construction.